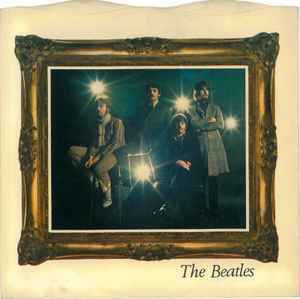 First pressings timed "Penny Lane" at 3:00. Later it was corrected to 2:57. Recherche informations et valeur sur ce vinyle. My version with a solid center came in the standard green & white Parlophone sleeve, it is an original issue. No Picture sleeve. I have a copy of this Brazil Pressing and can confirm there is 'a sudden cut that edits out "in summer" in the middle of the song'. Limitations with the acetate or original copy used to press this copy? Who knows. It appears that this occurs on all copies of this pressing. I guess if there were a copy of this pressing with out the 'sudden cut that edits out "in summer" in the middle of the song' then that may be an even rarer find. Until then i'm happy with my copy. Also got Hello, Goodbye Brazil Pressing as well. You can never have enough Beatles records can you? Well I've played it it sounds so crisp clean and clear John's vocal is centered around a 180 degree stereo sound stage its subtile and sounds fresh. There is also a lovely liitle sax touch that should really end and close Lady Madonna ties it up nicely. but hey ho what do I know I'm just a fan. Sorting out PL would have been great and really meant it had been remixed, Number 9, number 9, number 9, number 9, number 9.
Who needs sacking at Calderstone X or Y ? 2. On the 1962 -1966 Alan Klein compiled "double red" follow the USA original release and include the James Bond theme parody prior to Help that Klein insisted on and had tagged on. Otherwise this little nugget of fun will never EVER have had a UK release. As this 7" is now Stereo and first time UK stereo and following the EMI in-house system and as UMG did not for some daft reason state the stereo sonics on the re-produced labels yet have made in the EEU at 6 o'c then the matix should say 7YCE and not 7XCE the "Y" confirms a stereo master the "X" a mono master. Clearly the compilers at UMG do not know their facts and these important and correct touches! Some people who get paid a lot of money do not know their XYZ! fact by trying to be too clever and falling at the final hurdle and not doing their homework). YEX or XEX wait and see! Great shame on this project and a needless gaff! Is it recommended to push out the center or keep it in place? Just curious if it's a gimmick of sorts or if there's any sonic value to keeping/removing it. Otherwise I'll likely keep it in place to maintain collectibility. Mine is quite warped. Not enough to return it, but quite noticable. Sounds is, well, disappointing and distorted. I think there are probably better records of this still out there.